Does that sound like a sweeping statement? Maybe. Unless you have 15 years experience of running an alternative health clinic that is! When I first started life as a naturopath and master herbalist – it was because I had lost my mother many years before – to my great distress – but the final trigger to my path was when my sister died – only 40 years old! Leaving behind a little boy who I have raised for the past 18 years as my own. I need to have an answer! I needed to know why I had lost the most important people in my world! I refused to believe that it was ‘luck’. I refused to believe that it was ‘coincidence’ I just knew that there was an underlying reason behind all of this – I had to find it. I had to make sense of it somehow! Just a few days after the death of my sister – her liver – diagnosed and gone in 7 days bless her! – I was in my local town and went to where there was a market selling second-hand books. As I wandered around – literally one book fell off the stack at my feet! Naturally I picked it up – glanced at the cover which said ‘Holistic Woman’s Herbal’. Why was it at my feet? Because it was supposed to be! so I picked it up – paid for it – took it home and started to read – and didn’t stop until I understood it all! All the questions I had had in my mind – all the things I had thought and questioned – here were all the answers to my own issues – why my energy levels were down – why I felt bloated after I had eaten -Etc. This book kept me going through the dark days after my sister died. It was only the beginning for me. I tracked down a herbalist who had been taught by the author-thinking that she woudl have what was prescribed in the book – what I felt was right for me. Kept my appointment – entered a house that was clearly more about the esoteric energies than anything else! Not what I was ready for at that time! Sat down – had a chat with the woman and said that I wanted some herbal bowel capsules (knowing that this was what I needed from what I had read). she had none ready! Wanted to teach me about imaging and colours etc. Wrong time for me! so in the end – I got her to just give me the mixed herbs and empty capsulres and I went home and made them up for myself! The difference to me just from this was life-changing! After you have spent years wondering if your food intake was ever going to equal your essential output – this proved to me that it should! I lost pounds and pounds! I felt lighter and more energised than I had in years! A few months after this I began to wonder why I was wasting my time with a student of the teacher when I could so clearly access the teacher herself! Ping! On went the light! I knew that intuitively I was more aware than this particular student and that she couldn’t help me. So – I phoned and made and got an appointment with what was my mentor – the author the book that literally saved my life through those dark days. I followed the herbal and dietary suggestions she gave me – as well as the lecture on the emotional causes and how this was affecting me – and truly – the change in me, my body and my mind was nothing short of miraculous! I lost weight – I lost any skin conditions – I felt amazing – alive – energised and renewed with life and health also! I had arrived! This was where I belonged! Where did I sign up! Some months later – knowing that this was now my path – and devouring all the knowedge I could lay my hands on as well as changing my diet, my life and all I needed to. It was not enough! I needed more information! My herbalist ran a training school in the depths of Wales. there was 1 last place left on the course – costing £2,000! Did I have the money? No, of course not! But, I was determined. I sold my Rolex watch which gave me just enough. My fairly new partner confirmed he would look after my nephew for me for 10 days and off I went! To be greeted by a life-changing, mind-altering experience together with 30 other like-minded individuals. We were the lucky ones! This was one of the last courses of it’s kind. It covered mind, body and spirt – and of course, emotions and the damage they cause. Everyone had to detox from the minute they arrived – using a powerful herbal tea – so everyone sdpent the next 3 days sobbing in corners! This is detoxing at its best! We had the most amazing teachers on all levels from herbalism, to wildcrafting herbs – how to make them into tinctures – iridology – the only diagnostic we had at the time – and a myriad of other therapies and understandings that allow that group to be the great practitioners that we all are today! Does that sound crass? If you knew what we put ourselves through – you would know that it is not crass in the slightest! We had to experience anything and everything that we might ask others to do! One morning – the lesson was about the buried emotions. This one was important to me naturally. A few were called to be in the front of the other 30 and be asked questions by the others and by the teachers. Horror of horrors – my turn came up! I thought that I was faily laid back regarding my mother’s loss, my sister’s loss and also my relationship with my father. Oh wow! Not so! I was fine with all the questions! No problem – until my teacher herself asked me about my relationship with my father. OMG – I couldn’t answer her! I was so choked with tears from nowhere that I couldn’t speak! The tears just kept on coming and she – in her wisdom – allowed no-one else to come near me! This was a cleansing! A healing if you will of all that had gone before! I hated my teacher at that moment! For displaying my vulnerability. For allowing the world to see my pain that I had kept so well hidden – in my bowel! Hence the constipation issue! Now I know better! 15 years later and I understand it all! I am still student – of course! but I do the release a little more gently! It is only in front of me – not 30 others! I also diagnose at a different level – I have the ability and software to dig down to the subconscious level of who is sitting in front of me. As much as I loved herbalism and iridology – it was still symptomatic treatments – and I knew that the level for healing was in the causal level. This was when I moved on in my training so I could get to where the pain had actually started from in the first place. All else would fall away once I understood and could work with that. Sound arrogant? No – not really! We bury our pain so deep in ourselves that it takes someone else to bring it up to our awareness so we can release it! I have given you a long story I guess! the truth of me and why I do what I do! Why people are so important to me and how I can help them at the deepest level. 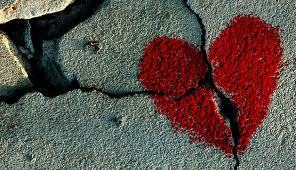 Why I have so much compassion for their pain – though I wil not get caught up in it! How can I help unless I stand back with the rope or ladder or lifebelt in my hands? 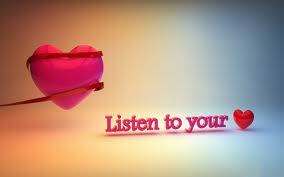 Feel Your Way Forward – Listen To YOUR Heart! I am really enjoying reading your stories. I hope you don’t mind if I ask your advice on something. I have been taking homeopathics in an effort to heal a stage 4 prolapsed uterus. My body has been rebelling (hair falling out, skin tone rather yellow) so I have stopped for 1 week and all this anger is coming out. Unfortunately the source of my pain ( cut off from my family 20 years and my 2 daughters for 8 years) never seems to get better because there is a whole in my life where my daughters/family should be. THey don’t like me and I may spend the rest of my life without them. My appeals to them have resulted in more silence. So I continue to focus on my healing myself ( over many years I have healed myself from systemic lupus in my kidneys and in my blood- low platletts). I have been quite healthy for many years now but I have had a stage 4 prolapsed uterus for 2 years now. I do not want surgery even though my doctor is offering one called the “Fothergill Manchester” where you get to keep your uterus. I am sorry for talking so much that was not my intention when I started this message to you. What I plan to do is do your gallstone cleanse and then try the homeopathic regime for prolapse ( got it off homeopathic doctor’s website (located in India)) again. So my question to you is What emotions cause a woman’s uterus to prolapse? « Would You Give Your Child Dog’s Milk?